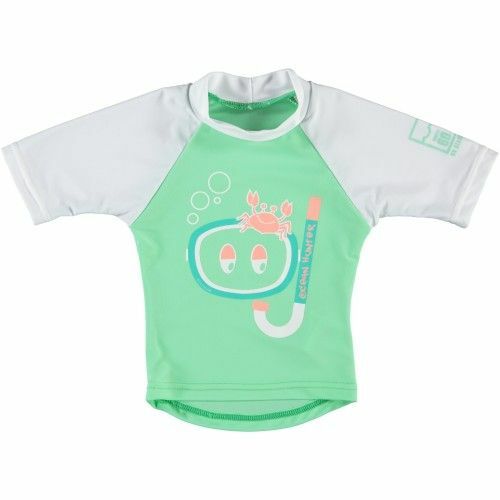 UV Swim Shirt 'Ocean Hunter' (green and white/pink) with short sleeves by Sonpakkie. 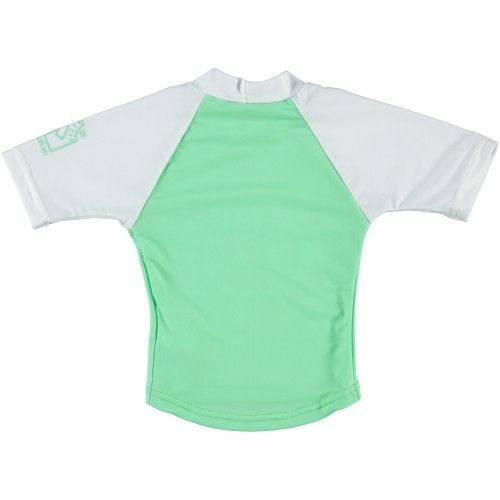 This UV protective swim shirt for boys and girls has a protection factor UPF 60. UV proof and UV protection swim wear protect your kids from the dangers of the sun. This sturdy Sonpakkie UV swim shirt with short sleeves has a print of a lobster on the chest and is available in two baby sizes. The Sonpakkie UV shirts are available separately or in combination with matching UV protection swimming trunks.